To learn more about these powerful creatures check out my Patreon and support at one of the tier levels. Each released creature has details and a back story there along with downloads of some of the original sketches for my patrons. I hope everyone is doing well! In this update I have the finished image for the month of March! Let me introduce to you Uila! 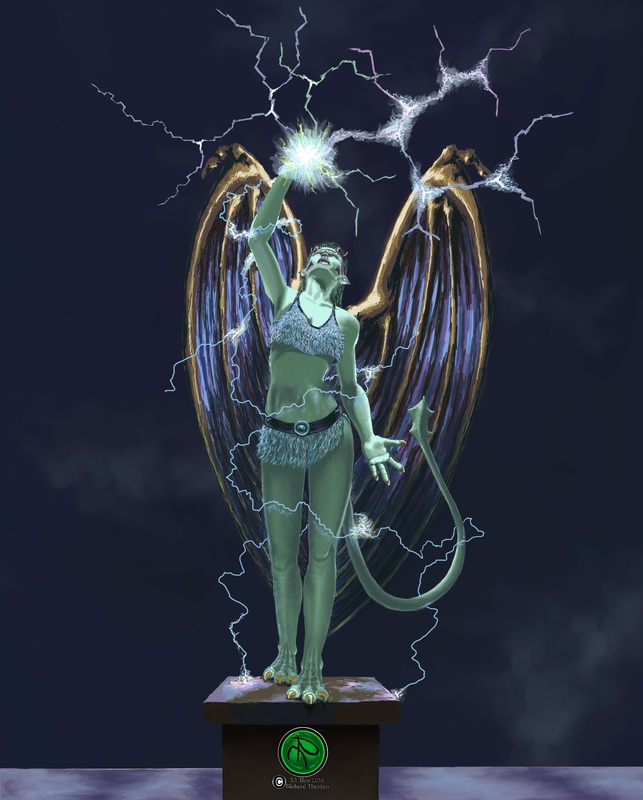 She is a creature of the night that can create and conduct electricity in the form of lightning bolts and balls. She prefers tall structures to the lower ground levels because she says it’s more peaceful. Uila is a bit of a loner and prefers to nest in theses lofty areas during the day time in her stone form. Prints are available in my store here on this site. Also, because Uila is a self-commissioned piece, she is available as a canvas print for you to purchase in the store. Thank you for visiting Grotesque Moi! I hope everyone is doing well! 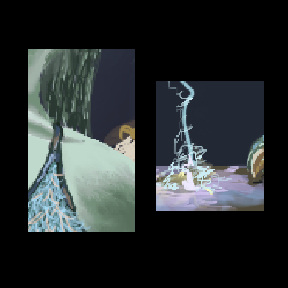 I wanted to share with you guys a couple of sneak peeks of the next illustration for Grotesque Moi!. This month’s creature on course to be completed by the end of the month. I want to invite you to my Patreon to help support this project at www.patreon.com/xtillos. 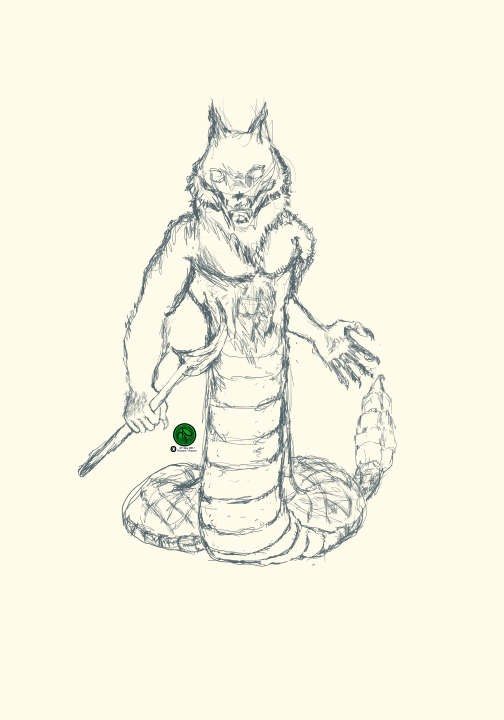 There’s pencil sketches and information of the creatures that are already posted in the project! Commissions and prints are available in the store where on the site, too. Please support where you can. Likes, shares and re-posts are greatly appreciated. Thank you for your interest and support! 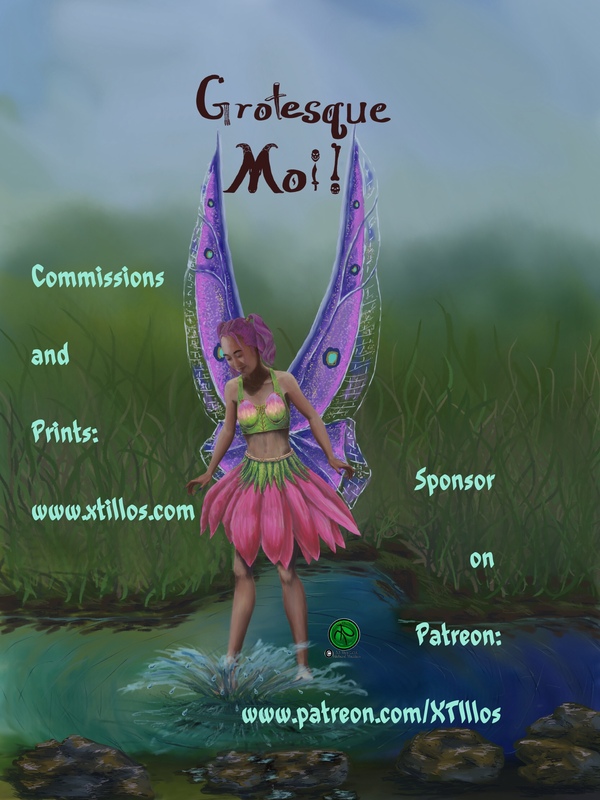 On my website a www.xtillos.com my new project Grotesque Moi! is under full steam. January and February’s creatures have been posted. March’s creatures is coming along nicely! Please check out my store to setup your commission and purchase the newly released prints! Also, supporting Grotesque Moi! on Patreon will help keep this project alive! Please like, share, follow and support where you can! Thank you for your support! 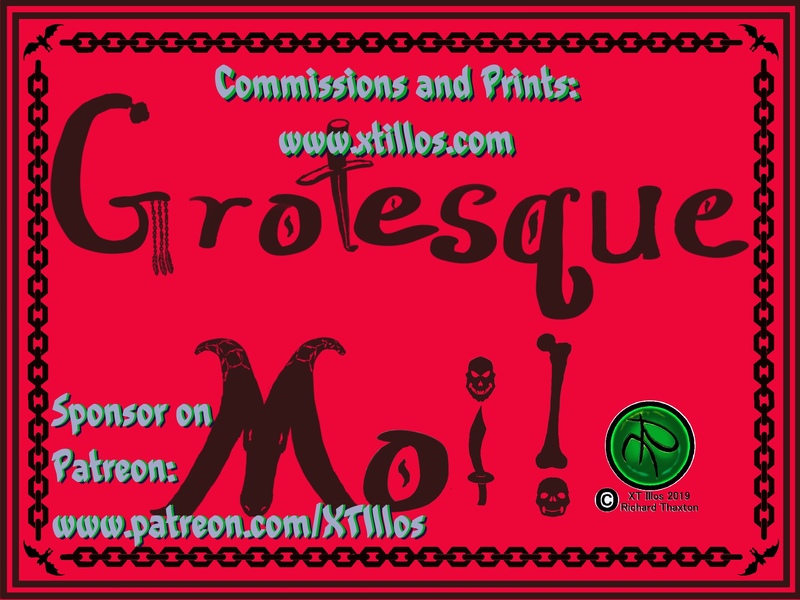 On my website a www.xtillos.com my new project Grotesque Moi! is under full steam. January and February’s creatures ave been posted. March’s creatures is coming along nicely! Please check out my store to setup your commission and purchase the newly released prints! Also, supporting Grotesque Moi! on Patreon will help keep this project alive! Please like, share, follow and support where you can! Thank you for your support! 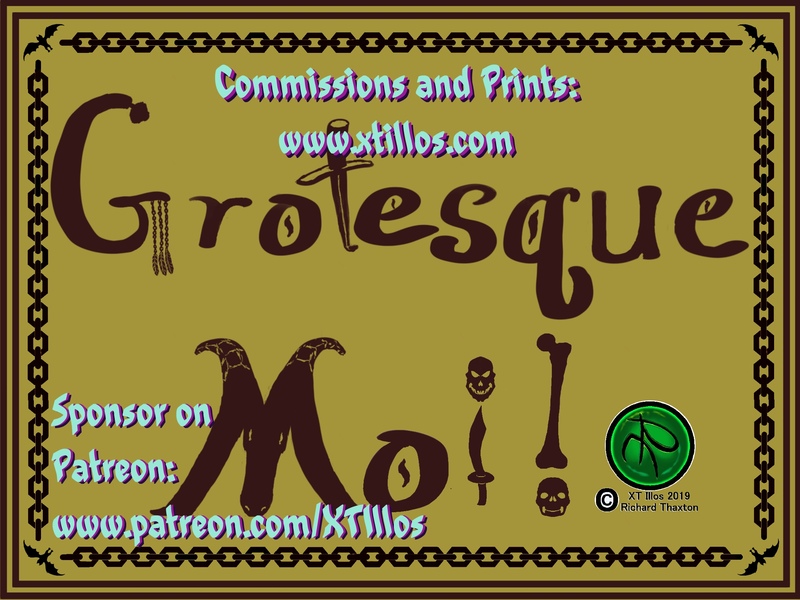 For this update I wanted to let you guys know that I finally have both prints of the first two images for Grotesque Moi! up on the store here! Creature #3 is in process and I should have something to post on it soon. 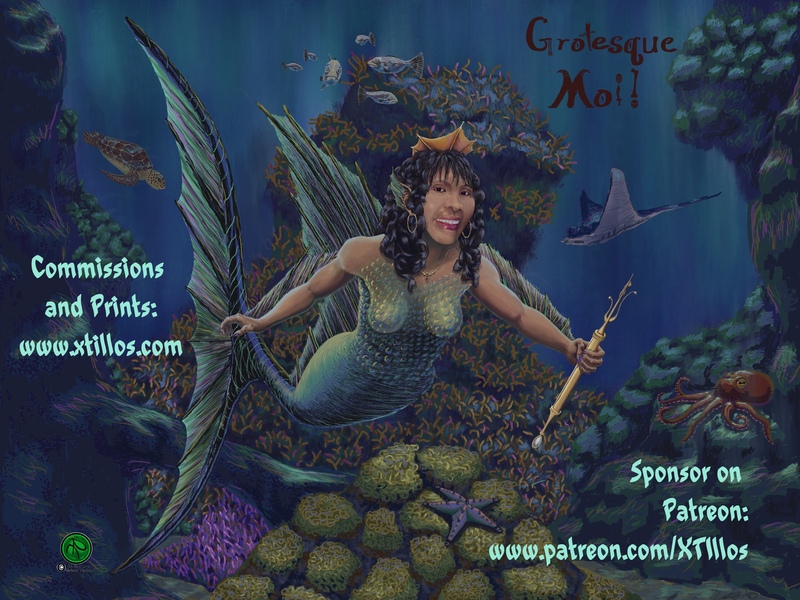 Also, please support this project on Patreon at www.patreon.com/xtillos so that I can continue to create content for this project outside of any commissions. 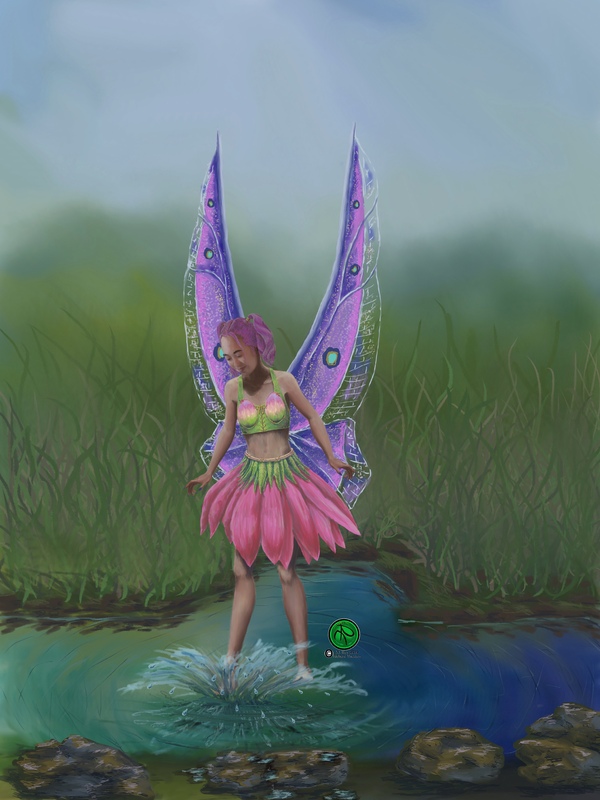 Puddle Sprite E – Digital Media, Prints available in my shop. Ying, The Bohol Sea Queen – Digital Media, Prints available in my shop.